Advanced Cleaner Pro is a potentially unwanted program that typically is introduced into the system after users carelessly install freeware or shareware. 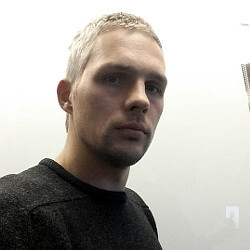 Alternatively, it is also widely available on third-party websites, and is also presented as a “reliable computer optimizer.” However, the functionality of this software is questionable, and might even be dangerous to the computer. Advanced Cleaner Pro functions very similarly to tech support or other scams. However, instead of claiming sensitive data compromise or virus infections, this app relies on users' lack of knowledge about Windows file system, as well as its registry. The fact is that this PUP's authors want to make users believe that their machines are practically broken, and they need to repair it ASAP. What is the way to do that? Purchase a full version of the software of course. Thus, never pay for such bogus system optimizers and remove Advanced Cleaner Pro from your computer with the help of this article. 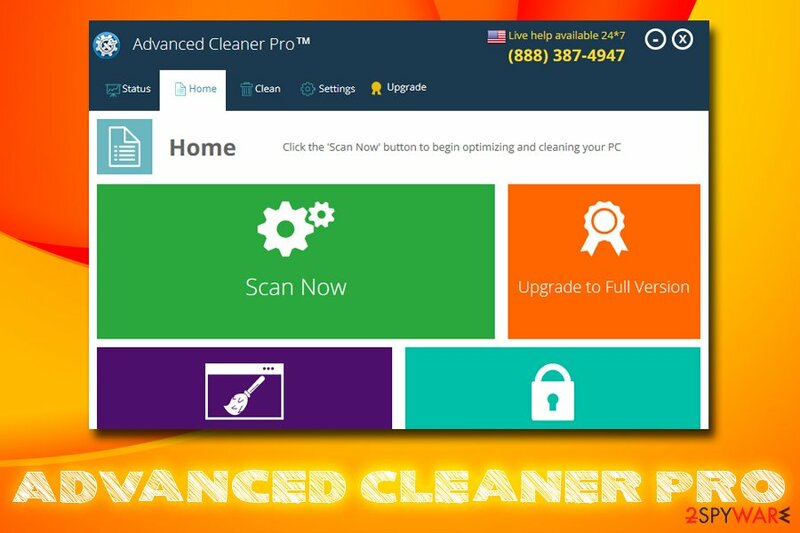 Advanced Cleaner Pro is nothing new, and there are hundreds, if not thousands bogus optimization tools in the wild, such as Advanced Mac Cleaner, Perfect PC Cleanup, Power Clean Pro 2019, OneSafe PC Cleaner, and many others. Some of these programs are created by the same developers, so they visually look precisely the same; it's just the branding that differs. 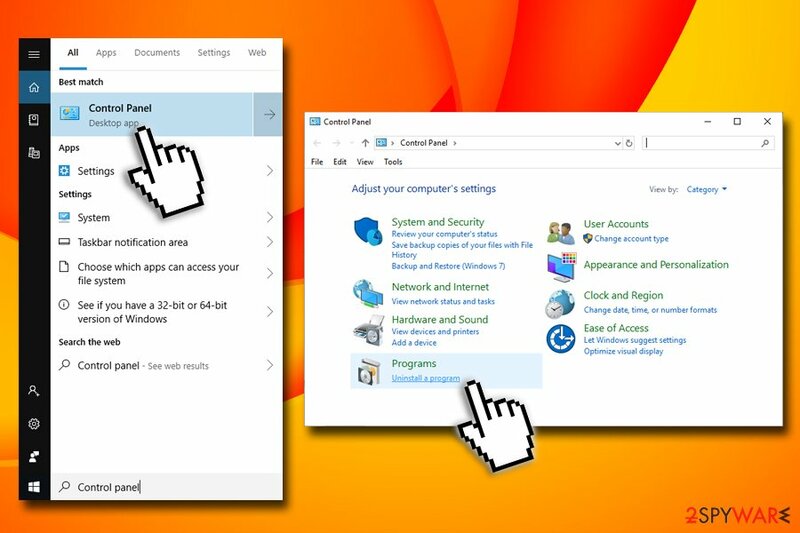 As soon as Advanced Cleaner Pro is installed, it prompts an automatic scan. Regardless of what condition your device is, the scan results will show hundreds, if not thousands of issues, flagged in red. However, what this software flags up is insignificant – in most cases, it is an outdated Windows registry entries or even legitimate cookies. These files do not take almost any space on your computer and would not improve the speed is it is claimed (a few kilobytes would not make an impact on a 2 TB hard drive). However, most inexperienced users might think that their machine is in danger and purchase a full version of Advanced Cleaner Pro bogus program. Unfortunately, but it is a waste of money, as the application will not provide any speed boost and will not solve the “problems.” If anything, it might corrupt Windows registry, which might consequently compromise the operation of the operating system. In such a case, you would have to reinstall Windows. However, you can use Reimage to restore your OS to the initial stage and terminate all the junk from your PC, as experts advise. Nevertheless, do not forget that you need to take care of Advanced Cleaner Pro removal first. You can delete the app with the help of our manual instructions below, or take advantage of anti-virus software the specializes in PUP elimination. Fake system optimizers are usually spread with the help of software bundling or promoted on various third-party websites, although many of such questionable programs land on official sources, such as Google Play or similar official stores. If you want to stay safe and avoid the unexpected appearance of this and other questionable programs, the main thing that you should do is to avoid suspicious pop-up ads that may start interrupting you during your browsing. If any of these ads offered you to check your computer with a 'free scanner,' you should ignore it. Otherwise, you may be tricked into downloading this questionable program to your PC system. Also, there are hundreds of free programs that have also been included in the distribution of this questionable PC optimizer. In order to avoid the unexpected appearance of this app, you should be very careful when installing the freeware. Please, always opt for Custom or Advanced installation mode that will help you see what is hidden inside your freeware. Once you remove the tick from the box that allows developers to install a potentially unwanted program, you will not have to deal with browser hijackers, adware, fake system optimizers, or even malware that can compromise your computer – steal valuable data, lock personal files or access your banking information. For automatic Advanced Cleaner Pro removal we recommend using Malwarebytes MalwarebytesCombo Cleaner, as the app is known to be focusing on various potentially unwanted programs. After you terminate the unwanted application, you should scan your device with Reimage to ensure that your Windows is in a pristine condition. ^ Margaret Rouse. PUP (potentially unwanted program). SearchSecurity. Information Security information, news and tips. ^ Technical support scam. Wikipedia. The free encyclopedia. ^ Tim Fisher. What Is the Windows Registry?. Lifewire. Tech Untangled. ^ Bedynet. Bedynet. Cybersecurity experts from Russia. This entry was posted on 2019-04-15 at 06:14 and is filed under System tools, Viruses. You can quickly scan the QR code with your mobile device and have Advanced Cleaner Pro manual removal instructions right in your pocket. How did you remove Advanced Cleaner Pro?